Sleeping Bear Press, 9781585369447, 32pp. After reading in the newspaper that it's Valentine's Day, Mr. 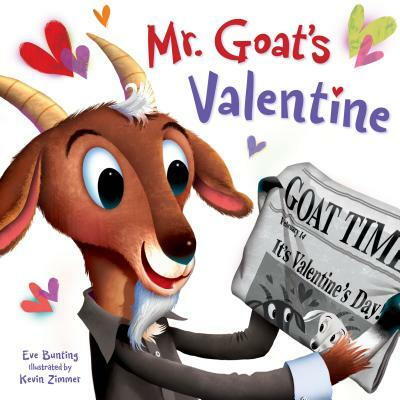 Goat sets out in search of very special gifts for his first love. But just what would a goat choose as the perfect gifts to show how he feels? Readers will be in for a surprise at Mr. Goat's nontraditional selections. From acclaimed children's author Eve Bunting comes a sweet holiday tale sure to warm hearts on Valentine's Day and every day of the year.